If you currently have a project vehicle sans engine, we may have a solution for you. 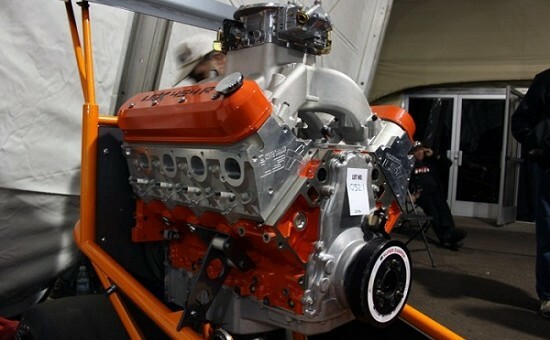 The Sunnen Engine Charity Sweepstakes is offering anyone a chance to win a General Motors LSX 454 racing engine. The sweepstakes will take place at the 2016 PRI trade show, where tickets may be purchased on the show floor to win the beastly powerplant. The engine has been Custom built by Nick Ferri of Patterson Elite Performance and is estimated to be pushing 850 hp and 650 lb-ft of torque. All proceeds for the engine will support Victory Junction, founded in 2004 by NASCAR’s Petty family. The charity provides a year-round camping facility for children ages six to 16 with chronic medical conditions and serious illnesses. The PRI Show opens December 8, 2016, at the Indianapolis convention center.